Yes, you read the title correctly. 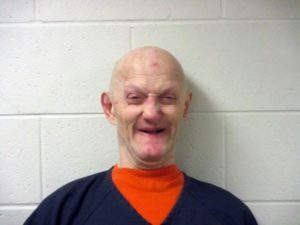 A southwestern Minnesota man was arrested and charged with suspicion of criminal neglect after police say he threw his wife a meth-fueled death party. Duane Arden Johnson, 58, of Searles, called police on Thursday morning to report the death of his wife, Debra Lynn Johnson, 69. When police arrived on scene, they found Debra’s lifeless body wrapped inside a sheet inside the home. Duane was naked when he greeted the police, who also noticed the words “Death Parade God Hell” scraweled on the couple’s front door in red spray paint. Johnson told police that his wife was near death and that she didn’t want to spend the rest of her life in a nursing home. That’s when he came up with the idea to throw a meth-fueled death party for his dying wife. Johnson told police he gave his wife some meth and that they had a “death party” before she died. He also said that he didn’t call 911 while she was dying in order to respect her wishes. Several weapons were found inside the couple’s home, some of which were stolen. In addition to the criminal neglect charge, Johnson was later charged with felony counts of theft and receiving stolen property. Bail has been set at $250,000, and it’s unclear at this time if Johnson has obtained legal counsel. The underline issue with a story like this is that mental health and addictive behaviors can cripple our ability to make good decisions. A lot of people that we defend and work with are battling their own mental health demons or problems with substances like alcohol or drugs. That’s why we work closely with addiction counselors and chemical dependency experts to help the you treat the physical and mental sides of addiction. So whether you need legal help, or just want to get connected to a helpful addiction specialist, don’t hesitate to reach out to the lawyers at Appelman Law Firm.